This is the final report of our 3-part series entitled, “An Introduction to Texas Pacific Land Trust” (dated April 16 and June 9, 2017, respectively.) For copies of these reports please contact us at info@missionadv.com. We believe that no publicly traded energy stock is in a better position than Texas Pacific Land Trust to make money for its shareholders by appreciation. In addition to a potential rise in stock price, we believe that the future ability of TPL to pay cash dividends will be prodigious. There is a new revenue stream coming for Texas Pacific Land Trust that, for a short time, may even eclipse oil and gas revenue. That revenue stream will come from the sale, and possibly the recycling and disposal, of water. For energy investors, this is a fortunate circumstance. For the first time in its history, TPL is managing an active business to make money for shareholders. In May, TPL hired Robert Crain, former head of water development at EOG Resources. He and his team will develop the water business for TPL. We are encouraged by this, and feel that shareholders will soon see the results. By virtue of their origin as a railroad land-grant company in the 1800s, shareholders are now owners of vast tracts of land in West Texas. TPL owns approximately 900,000 acres of land in West Texas, 769,000 acres of which are in the Delaware Basin section of the Permian Basin, arguably the most desirable oil play in the world. The surface ownership is valuable in its own right. Operators must pay TPL a fee for access to their land in the form of roads, pads and right-of-way. We believe that ownership of mineral rights will produce the most revenue in the future. Mineral revenues come from royalty interest, and TPL holds some 300,000 acres of 1/16th royalty interest in the counties of Culberson, Reeves, and Loving, three of the six counties in the heart of the Delaware play—the Sweet Spot. TPL is a passive holder of mineral rights, which means it does not control when operators drill on their land. In order to estimate what might occur on TPL land, one has to aggregate the information of drilling schedules from operators in the areas around TPL royalty interests. Fortunately, TPL owns large expanses of mineral rights in what is the most active drilling areas in the world today. Companies drilling in these active areas include Anadarko Petroleum, Apache Corporation, Chevron, Cimerex, Exxon, Occidental Petroleum, WPX and many others. 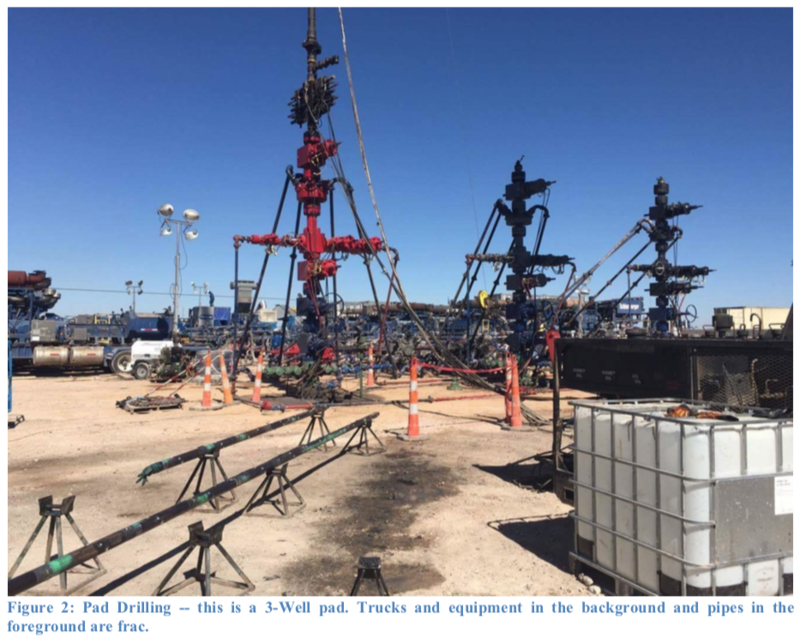 There are now 218 rigs operating in the Delaware Basin and a total of 382 rigs operating in the Permian. These are mostly horizontal, mobile rigs. Each rig can drill, but not complete, 15 – 20 wells per year. 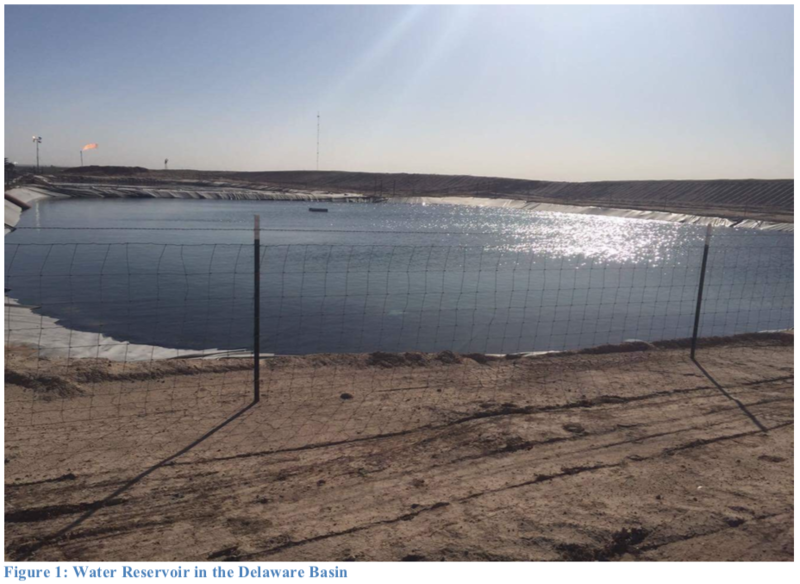 It appears that the majority of wells drilled in the Delaware are still not being completed. This will change. By all reliable accounts, a transition to pad drilling is forthcoming and thus the pace of drilling and production should accelerate soon. As pad drilling begins, so will the pace of completions. Future completions will have to include the very large inventory of wells drilled but uncompleted — the so called DUCs. The availability of water does not have much to do with the pace of drilling but it has everything to do with the pace of well completions and therefore oil and gas production. Approximately 500,000 barrels of brackish water are needed to complete each new well. Once those wells are completed and production begins, those same wells are producing as many of four barrels of water for every barrel of oil. So, the availability, use, possible recycling, and disposal of water is every bit as important as the oil business in the Delaware. Oil companies operating in the Delaware Basin are the best-known names in the industry. They have invested heavily in buying acreage over the last few years. All of these companies refer to the Delaware as a key area for capital expenditure and most are in the process of drilling multiple wells from the same site, known as “pad drilling”. That process of rapid drilling means more wells, and consequently more completions. 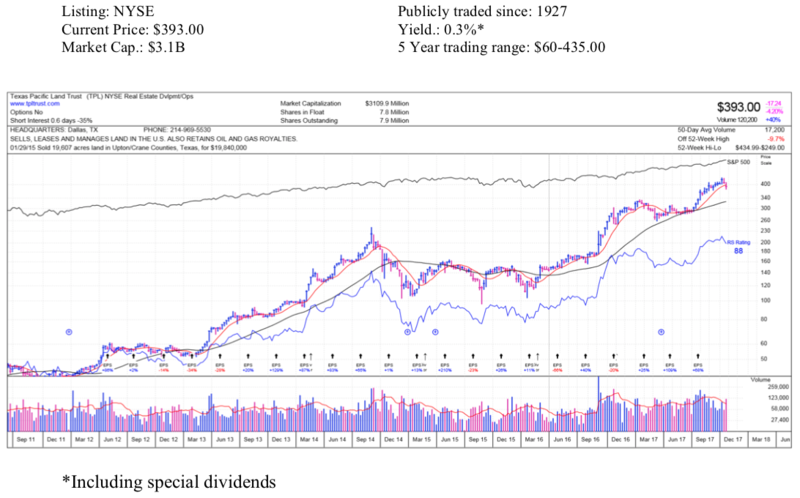 For most of its history, TPL has been a passive company. They keep track of revenues received from mineral royalties, leasing land for grazing and collecting access fees for roads and pipelines crossing their land. TPL has even collected water revenues in the past, by allowing companies to drill water wells on their land. Until recently, those revenues have been lumped together with access fees. Since early 2017, the management rightly recognized that TPL was in an excellent position to significantly increase water revenues for shareholders, by drilling their own wells and marketing water to operators. Dramatic is the word that comes to mind, not only for the potential, but also for the active nature of the operation. We think TPL’s water business is being built in a systematic and aggressive manner. Because of their large surface ownership and their new willingness to spend money to build a water business, TPL has tremendous competitive advantage. The company has money to spend, and it appears it will develop a series of water fields to supply operator’s needs. For example, they can pump water to holding tanks, where operators pick it up by truck and ferry to drill sites for fracking. In developing water fields, we believe TPL will ask neighbors to join them in the business. TPL has many long-standing relationships in the basin through its presence on the land since the 1880’s. Any join agreements would add to the revenues for all involved in water pumping or disposal in return for the inclusion of some wells and access rights on adjacent land. Such agreements might also make it harder for others, who also need rights of way, to compete in the same area. Currently, TPL has six water fields, theoretically able to supply about 150 frac completions a year. We think TPL will construct as many as twenty or more such fields in the future with the capacity of supplying frac water for as many as 600 completions a year. In this scenario, it is conceivable that TPL water revenues will rise from about $28MM a year now to over $200MM a year by 2020. Using our estimate for the pace of future drilling and completions in the Delaware, the following table lays out what we think future revenues at TPL could look like. TPL pays about 8% state severance tax for oil and gas production. It receives a 15% depletion allowance for that production, and then is subject to normal corporate taxes. All other revenue is available for ongoing expenses, pensions, share retirements, and dividends. 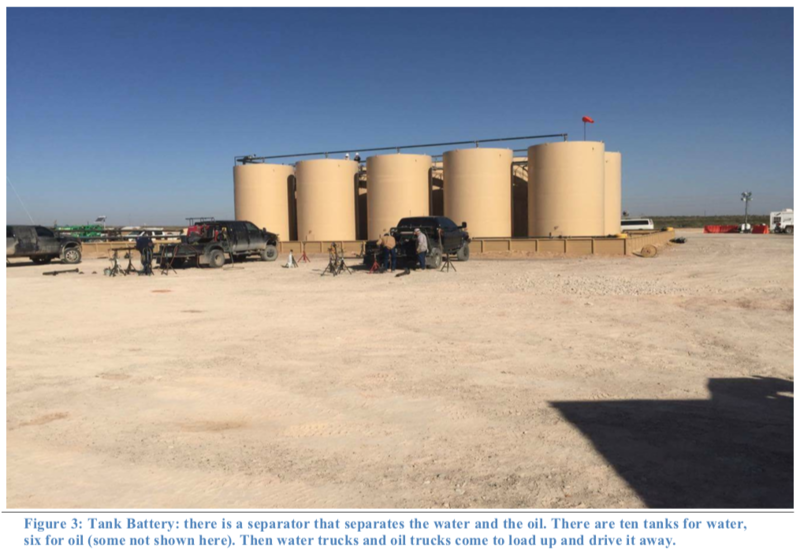 We think these estimates are reasonable given TPL’s excellent acreage across the best oil lands in the world today and the current actively reported in the Delaware Basin. If these revenue estimates prove to be correct, Trustees could find themselves contemplating, even after normal share repurchases, paying shareholders $50 in dividends by 2022.